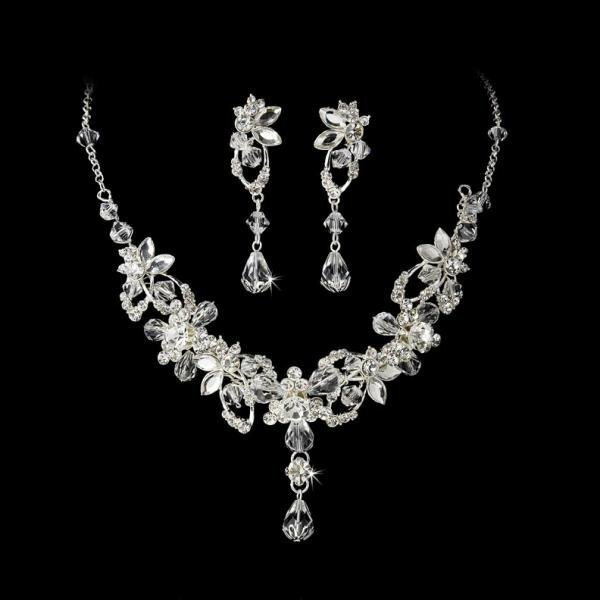 Exquisite and lovely, this silver bridal necklace and earring set is adorned with sparkling rhinestones and Swarovski crystals. The set is perfect for your wedding, and will coordinate beautifully with your white or ivory wedding dress. The necklace features a lobster claw clasp. Size: Necklace - 37 cm, Extender - 5 cm, Earrings - 5 cm.